With “Swim to Shore” branded as the business name, a giant hole in the ground being plastered in the backyard, and an unwavering passion to teach swim lessons, Casie Shore was only missing two things to start her business: students and a business license. Pennies pinched, her advertising tactic was to print flyers and disperse them at the gym and bowling alley’s kid’s clubs, while she simultaneously applied for the proper certifications. When summer finally rolled around, it brought with it a business license with her name on it and a sum of a dozen students. In hopes of helping boost Swim to Shore’s clientele, Casie’s brother developed a website just in time for the following summer’s heat to arrive. The online presence increased the community’s awareness of her business, but as community members called to enroll, she found that about 90% of her new customers heard about Swim to Shore through word of mouth. As the number of students increased, word of her business spread like wildfire. Within three years of opening her dream, she reached the maximum number of hours she could teach in a given week. Unwilling to keep interested students from learning water safety, she brought another instructor into the backyard, and not too soon after, the demand for swim lessons required yet another instructor. The backyard pool not big enough to hold more than one lesson at a time, and one of three instructors in the water all hours of daylight Monday through Friday, Casie’s startup business reached its maximum capacity within five years of its opening. Being the passionate dreamer that she is, Casie stubbornly refused to accept that interested customers could not receive swimming lessons due to limited pool space. If that was the only hesitation to serving the needs of her customer base, all she needed was a larger pool, right? Well that was what she thought, and that was all it took to set her dreams to wandering outside the confines of her backyard space. This entry was posted in Uncategorized and tagged backyard business, small business, swim, swim lessons, swim school, Swim to Shore, Swimming on October 8, 2015 by 11975344. Water wings give parents a false sense of security. When children have on water wings, parents are less likely to watch their children swimming in the pool. 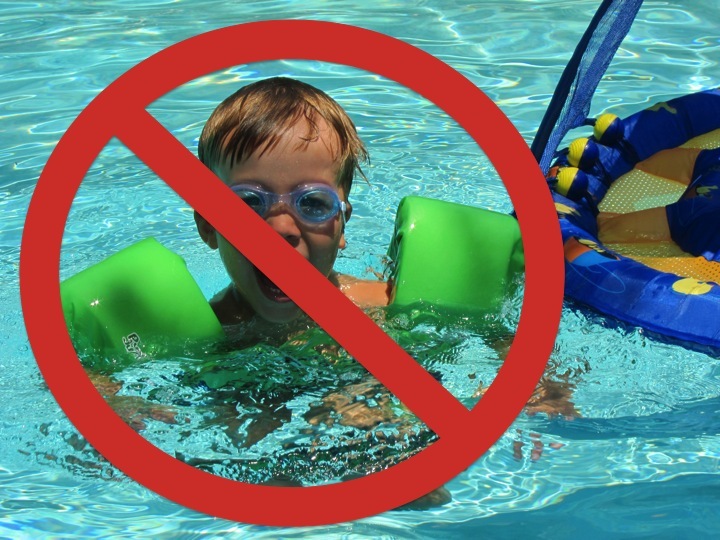 However, water wings easily slip off a child’s arm because they are not secured to their body, and accidents can happen when parents are not attentive. Water wings are also not well designed to keep a child upright. If the water wings shift slightly or a child gets off balance while wearing them, the flotation device can actually keep a child face down in the water. 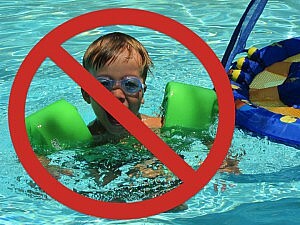 Because the water wings limit a child’s range of motion, it is difficult for children to get themselves upright again. Water wings give a child confidence in the water that the child associates with their ability to swim rather than the flotation device keeping them above water. Even when they are not wearing the water wings, they oftentimes still believe they can swim and will attempt to do so without supervision. Water wings force children into a vertical position, but people are most buoyant when they are horizontal in the water. The help of the flotation device takes away the ability for a child to feel their body float naturally in the water. 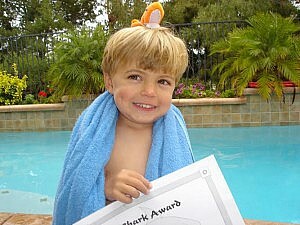 Water wings can stunt a child’s process of learning how to swim. Because they give children false confidence and force their body into positions that are unnatural in the water, it can be difficult to re-teach them a healthy relationship with the water. Though we know it is tempting to throw some water wings on the kids and let them move freely about the pool, it is not worth the risk of drowning. When enjoying a day in the pool, avoid the water wings by swimming with the kids or getting them into swim lessons early. In instances where a flotation device is absolutely necessary (such as a lake), use a life vest instead of water wings. There are so many ways for you and your children to enjoy the water, even without the water wings, so we hope to see you out in the pool this summer! This entry was posted in Water Safety and tagged buoyancy, drowning, drowning prevention, pool, swim lessons, Swimming, Water Safety, water wings on April 29, 2015 by 11975344. 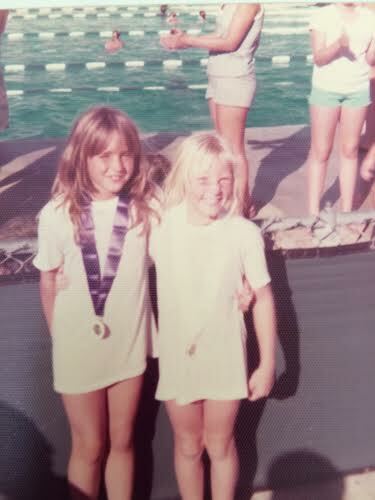 Swimming is a lifelong sport. 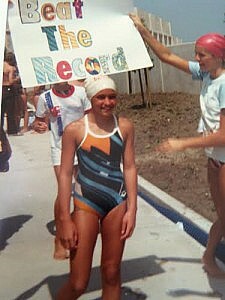 Unlike football, running, and other “land” sports that become hard on your body over time, swimming is a sustainable activity that can be continued over the course of your lifetime. People into their nineties have been known to swim for exercise, so you can too! Swimming is low impact, meaning it is easy on your skeletal system and joints because the water supports much of your weight (up to 90%!). Because of the way the water carries your body, swimming is good for people of differing ages and weights and is a good recovery activity for those healing from injuries. Swimming is dynamic and can be tailored to your athletic abilities. For a high-intensive cardio workout, swim sets can be fast-paced to increase your heart rate. If you are just getting back into shape, laps can be done at a slow place while still building muscle and increasing heart rate. 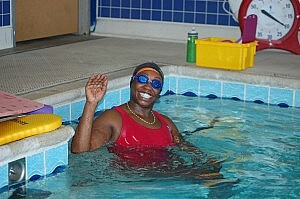 Water aerobics also offers an activity that takes weight off of joints while still getting people moving! Swimming builds and tones muscle through the resistance of the water. Though the water allows for an activity that is low-impact, the water’s resistance engages all the muscles in your body to build full-body strength and tone your muscles. Who doesn’t want a little extra muscle in their abs, back, arms and legs? Swimming is just all around healthy! Because swimming is an aerobic exercise, it will lead to a healthier heart if done on a regular basis. And like other physical activity, it lowers cholesterol and lowers your chances of getting diabetes. It also decreases your stress and increases your spirits through the releasing of endorphins! If you haven’t tried swimming for exercise, now is a great time to start! Check out 100 Swimming Workouts for ideas on some good workouts, EnduranceWorks for some videos of different swimming drills, U.S. Masters Swimming for masters team options, or see a local gym for different swimming programs they might offer. Whatever your swimming abilities and background, find a pool and start swimming! This entry was posted in Uncategorized and tagged Adult Swimming, Cardio, endurance, Health, Healthy, Lifelong Sport, low-impact, masters team, Sport, strength, Swimming, Water Safety, workouts on April 17, 2015 by 11975344.